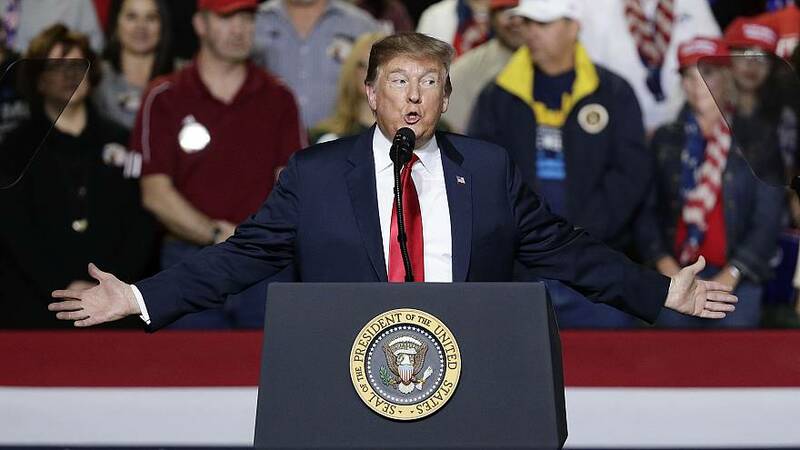 Trump says he's "extremely unhappy" with the border deal, but he's also tweeted some supportive words about the direction of the overall plan. The Washington Post suggests that the chances of another shutdown are receding. Questions about detention beds are still unresolved in the deal. The New York Times notes that Nancy Pelosi isn't really working as a foil for Trump. From NBC's Ken Dilanian: "After two years and 200 interviews, the Senate Intelligence Committee is approaching the end of its investigation into the 2016 election, having uncovered no direct evidence of a conspiracy between the Trump campaign and Russia, according to both Democrats and Republicans on the committee." The Washington Post has a deep dive into Paul Manafort's 2016 meeting with Konstantin Kilimnik at a cigar club. Mitch McConnell is planning a vote on the Green New Deal to put Democrats on the spot. High speed rail in California? Gov. Gavin Newsom is nixing a Democratic dream. Some Democrats are getting nervous with the party's push to the left. Howard Dean is planning to head a new Democratic voter data operation. Amy Klobuchar raised $1 million within 48 hours. Kamala Harris' campaign reported raising $1.5M in its first 24 hours. And Elizabeth Warren's ActBlue account got almost $300K on her first day she was able to raise money (though that's an incomplete way to look at total fundraising). Indian Americans wants more opportunities to connect with Kamala Harris. The Washington Post fact-checks Harris on her tax bill claims. Eric Holder says he'll decide on a presidential run in March. Elizabeth Warren made a surprise appearance at a luncheon honoring Native American women. Michael Bloomberg is willing to spend a half billion dollars to beat Trump. Chuck Schumer is recruiting Amy McGrath to run against McConnell. Cory Booker is suggesting he'd probably pick a woman as VP. 2020 Democrats are under lots of pressure to hire minorities. NBC's Elena Moore sums up what the 2020 Democrats have said about the situation in Virginia.